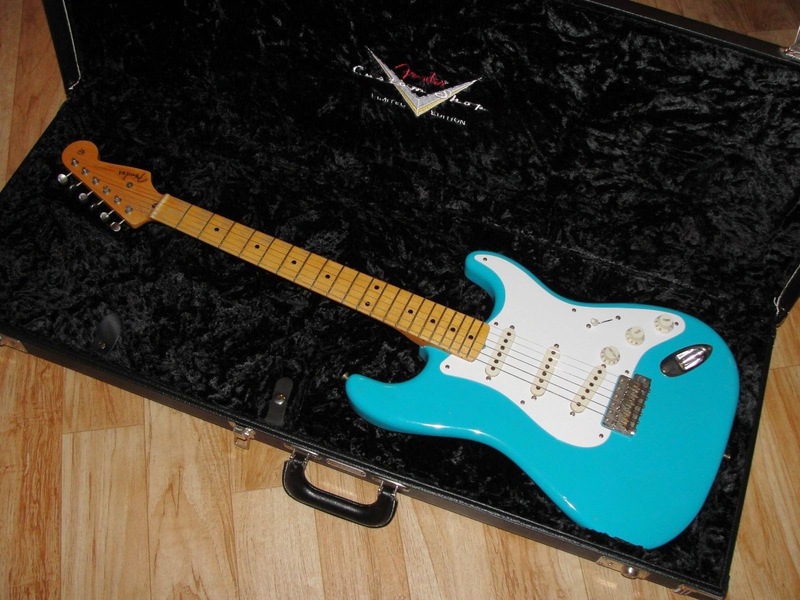 Valley Guitar of Tempe, AZ (eBay Store) lists this 2006 Fender Custom Shop '56 Relic Taos Turquoise Strat. Although described as an '06 build, the COA indicates 2013 (COA reissued, signed by Mike Eldred). Otherwise, things look to be in good order. Seller has lots of history, listings and 100% feedback. Our featured Friday Strat is mainly a vintage-style config with a boat-style 21 fret neck profile, 9.5" radius, 6 screw trem and vintage style tuners. 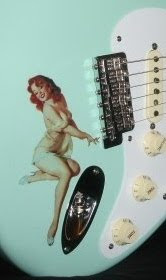 Pickups are special Mark Kendrick Designed in a light weight ash body. 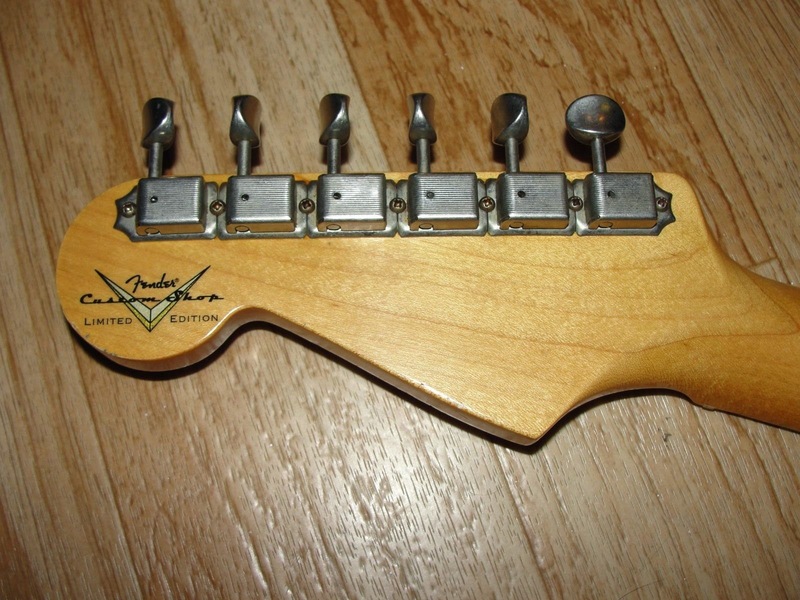 Fortunately, one modern touch is the 6105 frets. 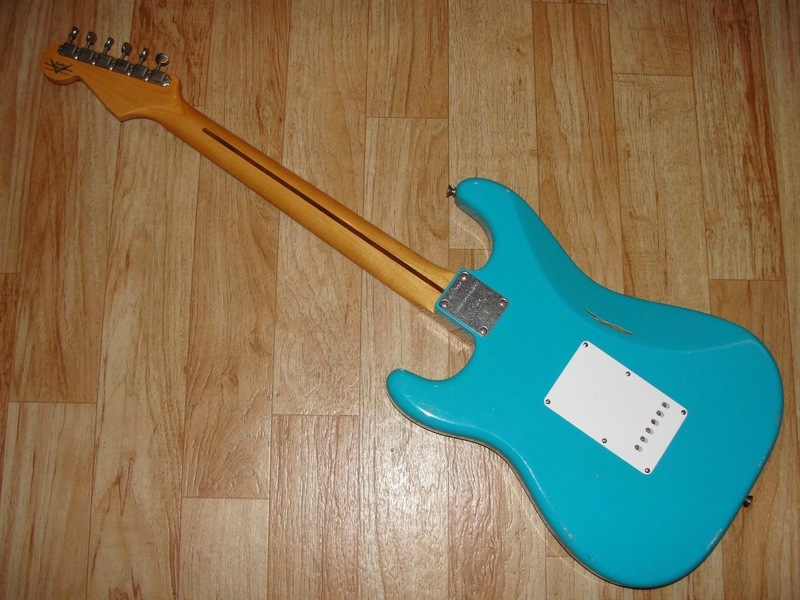 It's cool to see Taos Turquoise on something besides the Eric Johnson RW finish option. Includes COA & OHSC as pictured.